Dubai, UAE, February 05, 2019: The unique lifestyle concept store Home and Soul Dubai have become synonymous with contemporary design and timeless quality when it comes to their home product offering. 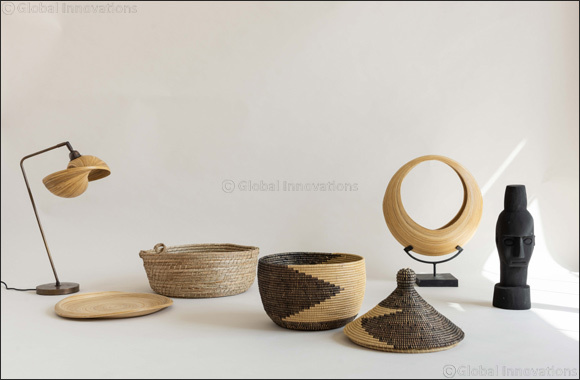 To continue with this trend, founders Carol and Wael Sukkar have continued their journey to find a new range of high-quality, hand-crafted home accessories that consist of natural, raw materials to add to their wonderful range of home products. Where heritage meets natural homemade interior design, the new homeware accessories are sourced from Bali, the perfect destination for fans of bohemian style and art. The beautiful hand-made products are made from a combination of natural materials and is designed specifically to have more than one use to ensure the utmost durability. From beautiful lighting, modern consoles and tables to artistic decorations, each item promises an instant refresh to ones’ home. This rattan table lamp offers a trendy take on the 70’s with its simple yet modern finish. Inspired by the tropical look of the outdoors this will help to your home into a modern retreat. Its intertwined bands softly filter light for a warm, rustic glow. A centerpiece that brims with the mid-century influence with both elegance and minimalism is highly essential for any living room area. The Cannes Coffee table is quite the contemporary piece that is versatile to feel the required needs of any space. Inspired by nature these shell shaped suspended lights resemble the Mediterranean coasted region with its organic and natural materials. They come in three different sizes allowing one to choose the ideal one. These ceramic glazed vases are on trend and versatile also coming in 3 different sizes that lend an up-dated twist to your decor. The simple structure also helps to create a minimal appearance for any area. Previous Story : Billy is 40 years old..